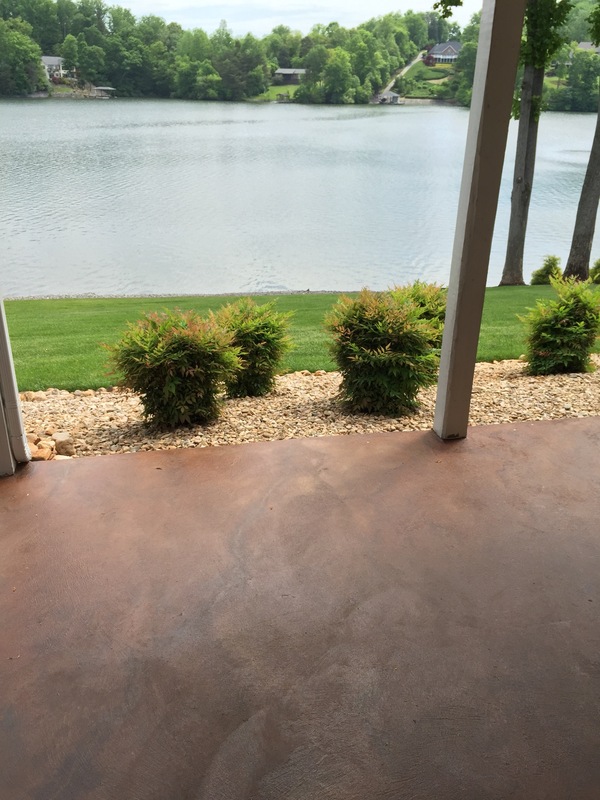 There is an undeniable beauty in the imperfections of concrete that is mixed, colored and installed by hand. 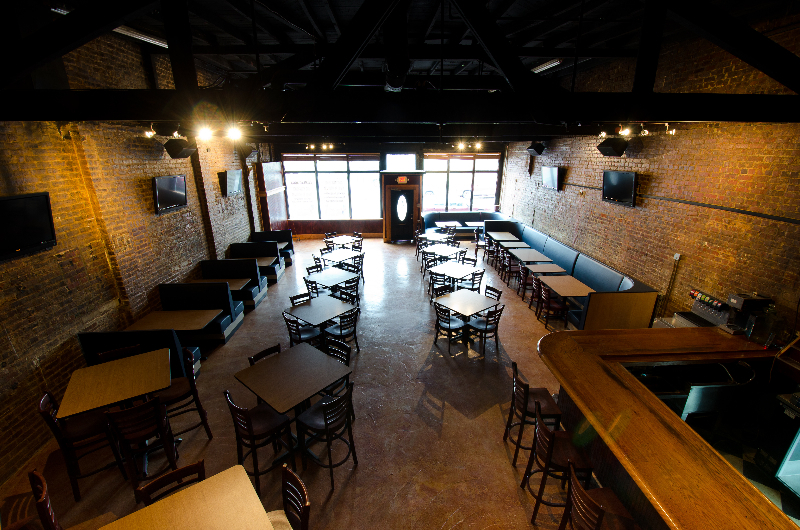 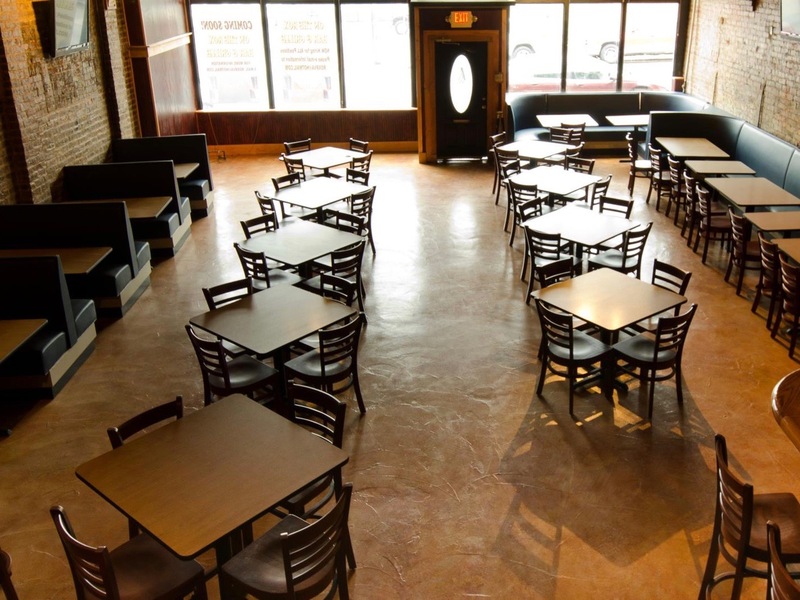 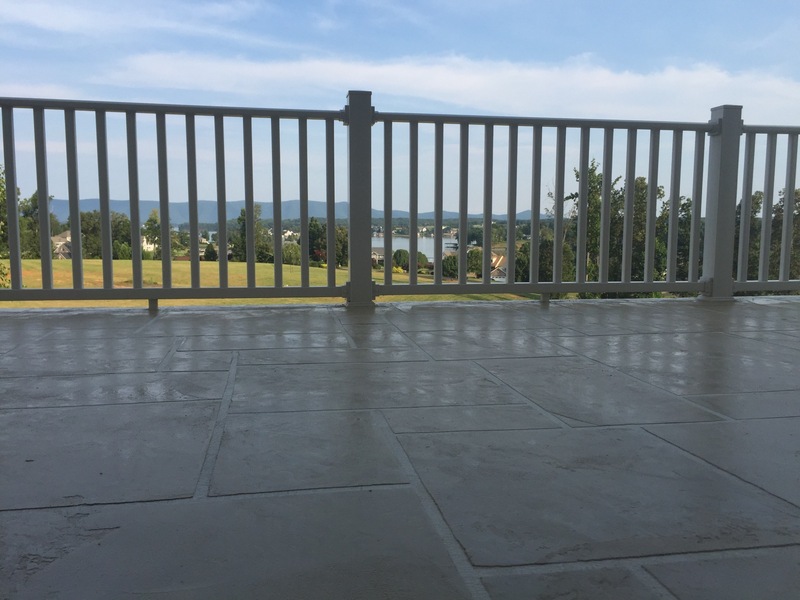 Troweled concrete overlays are handcrafted floors that are installed by troweling concrete across an existing concrete substrate. 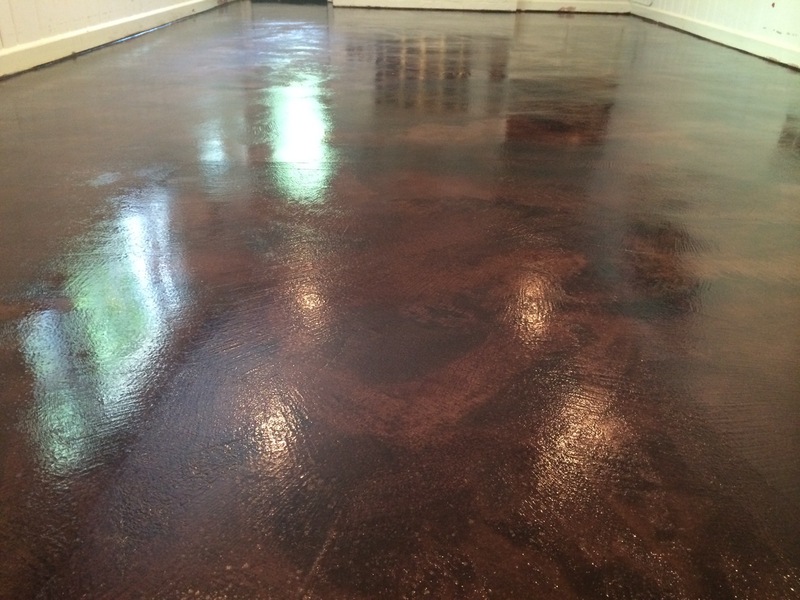 Multiple coats of a cementious material are applied to create a unique rustic texture with a multicolored old world feel that embraces the imperfections that can occur when a product is created on-site from cement, sand, resin and water into a finished flooring system. 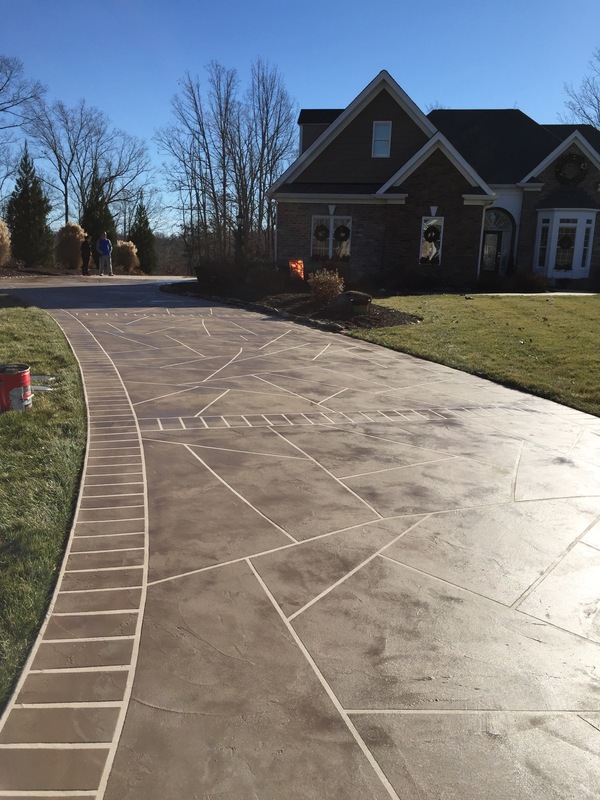 Troweled concrete overlays come in two varieties. 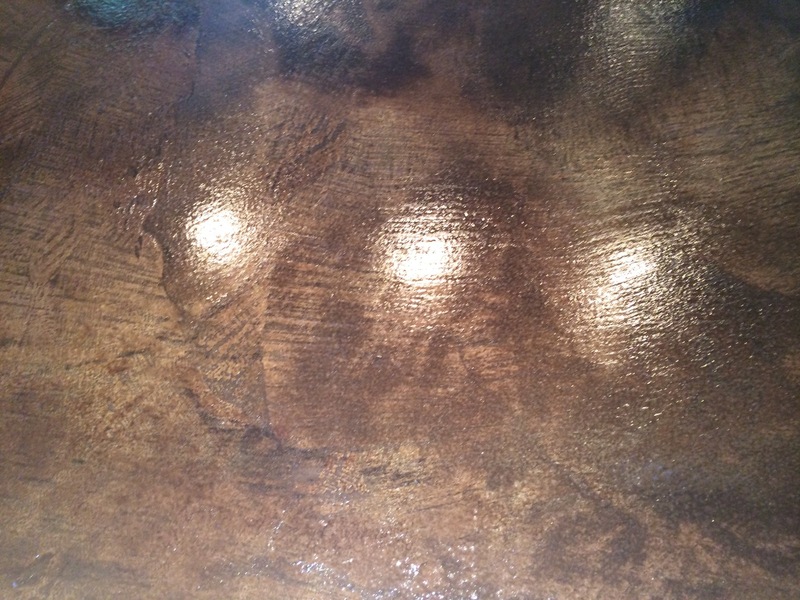 We can create a seamless hand troweled texture, or we can apply a troweled overlay with a pattern. 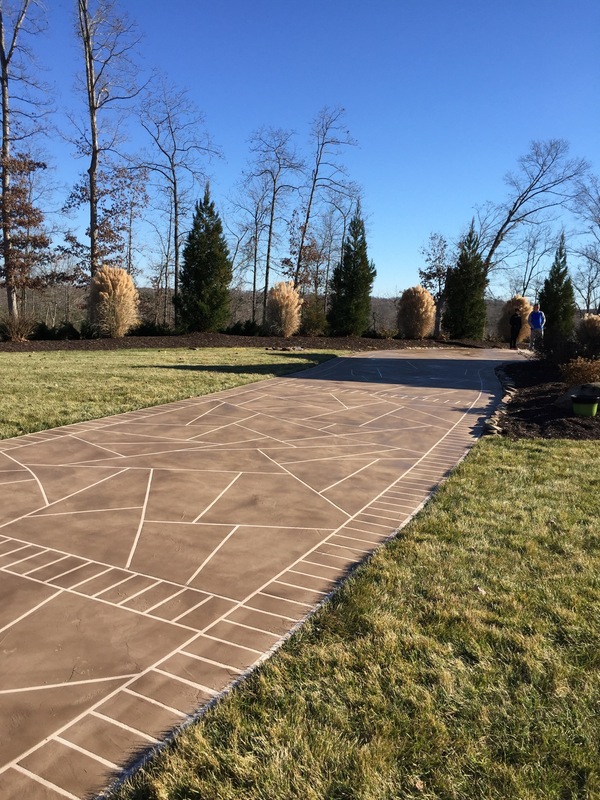 Troweled overlays with a pattern are a good middle ground between our simpler sprayed overlays and our upscale stamped concrete overlays. 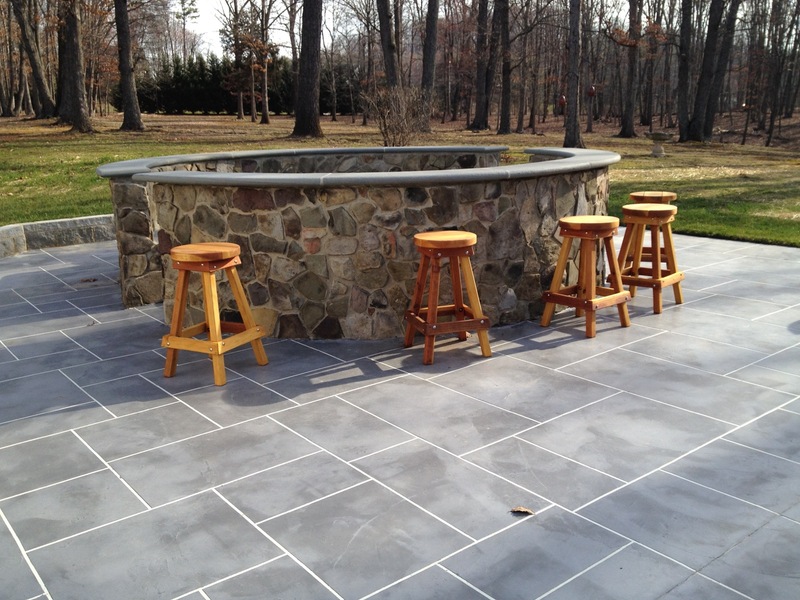 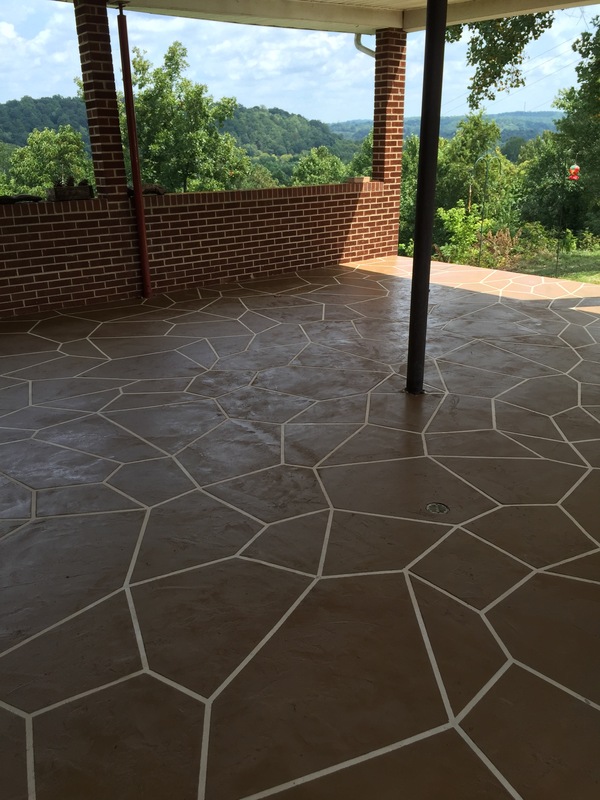 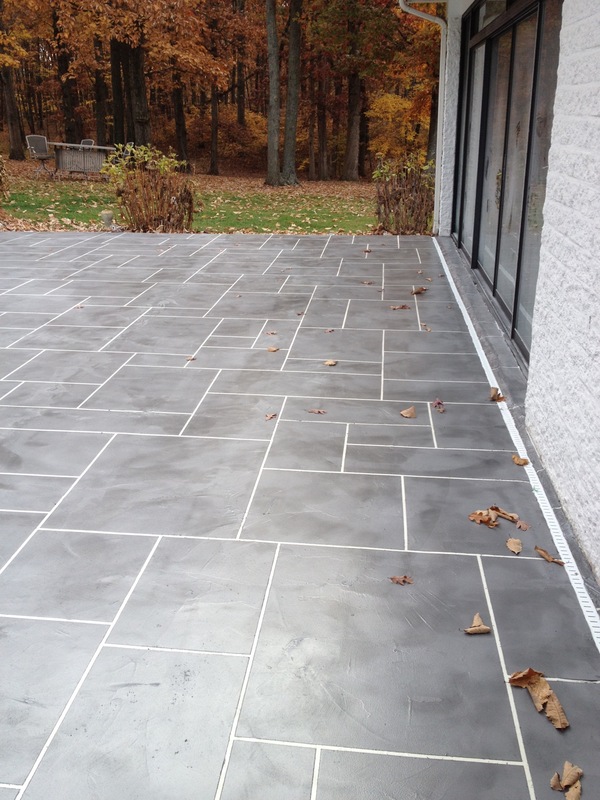 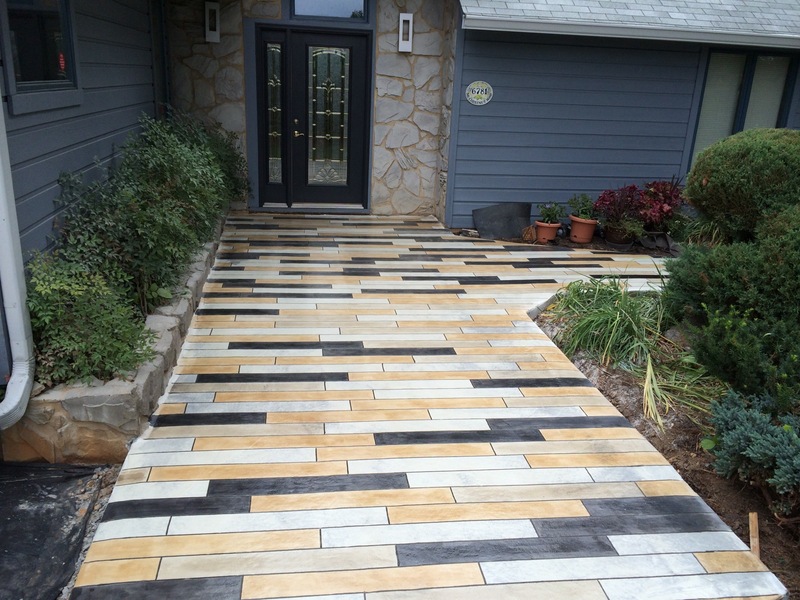 A hand troweled pattern has the rustic feel of a stamped concrete overlay without the added cost. 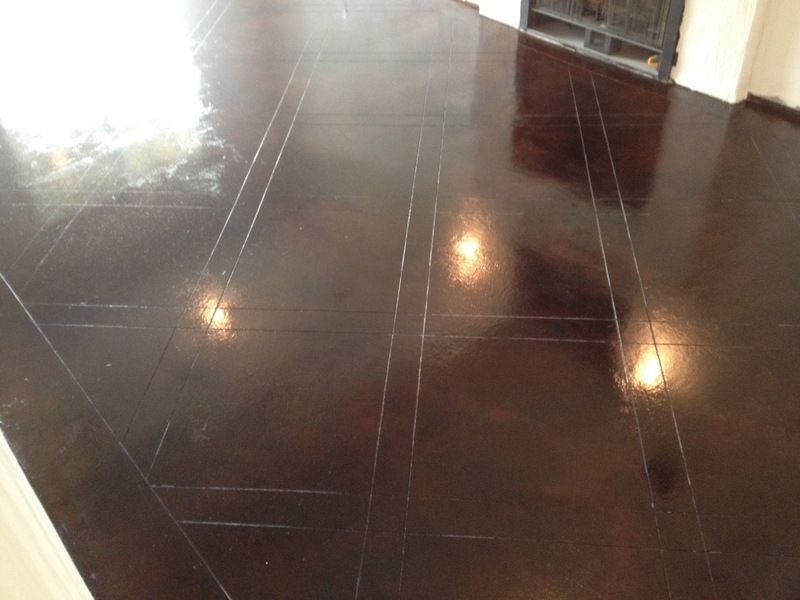 Typically we will apply a colored concrete base coat that will eventually be the grout line color. 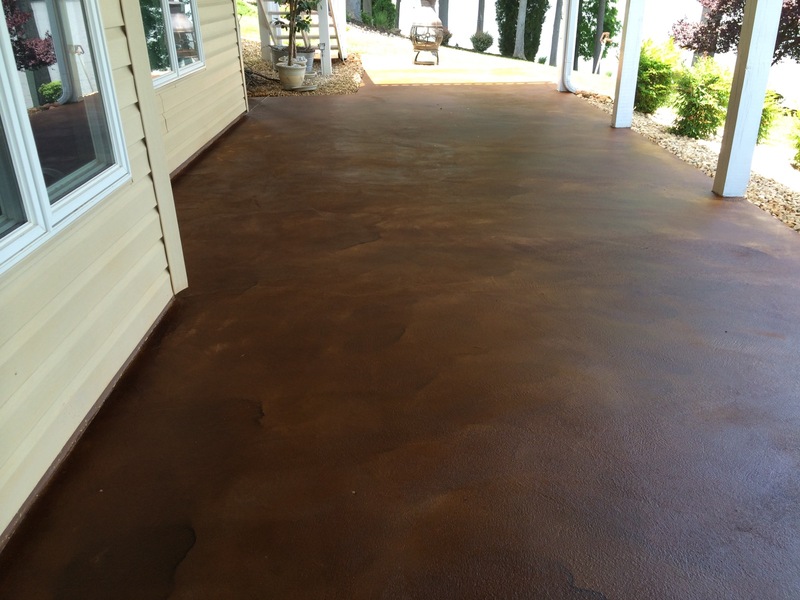 After the base coat cures, we apply a pattern (slate, flagstone, or tile) with tape, and then we trowel down another coat of colored concrete. 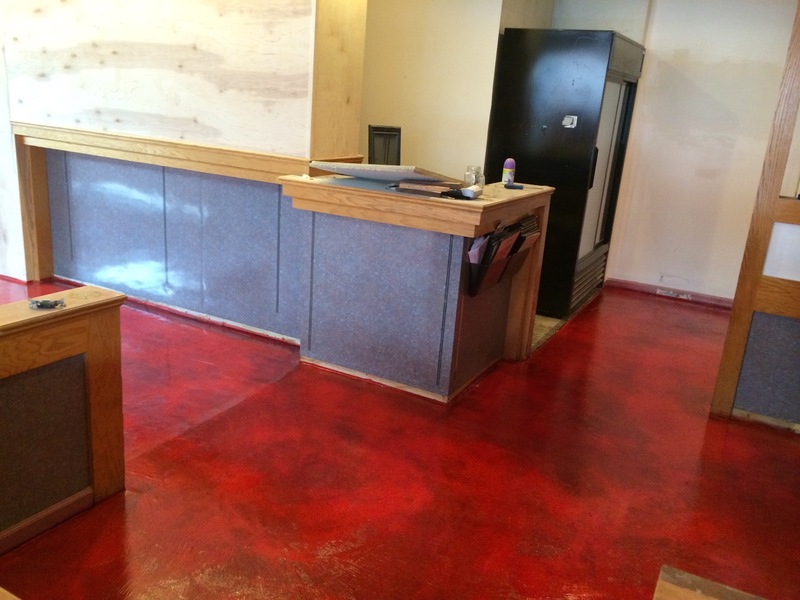 After the concrete is firm enough for foot traffic, we remove the tape, revealing the grout line color from the first coat. 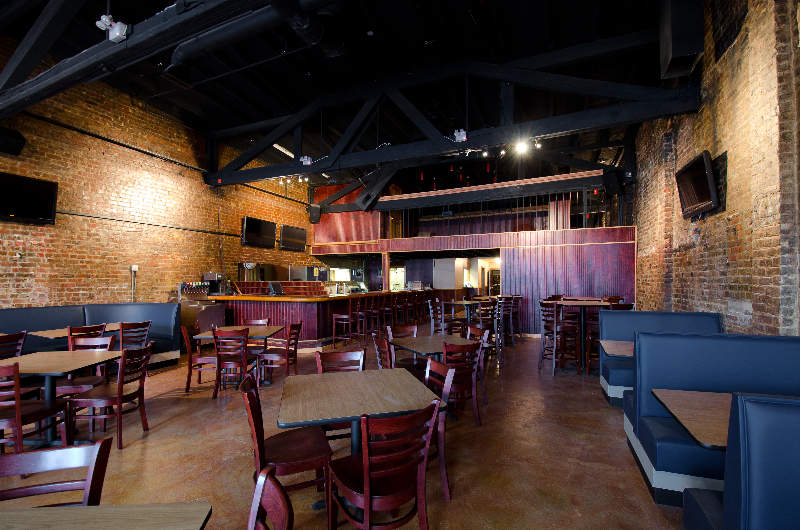 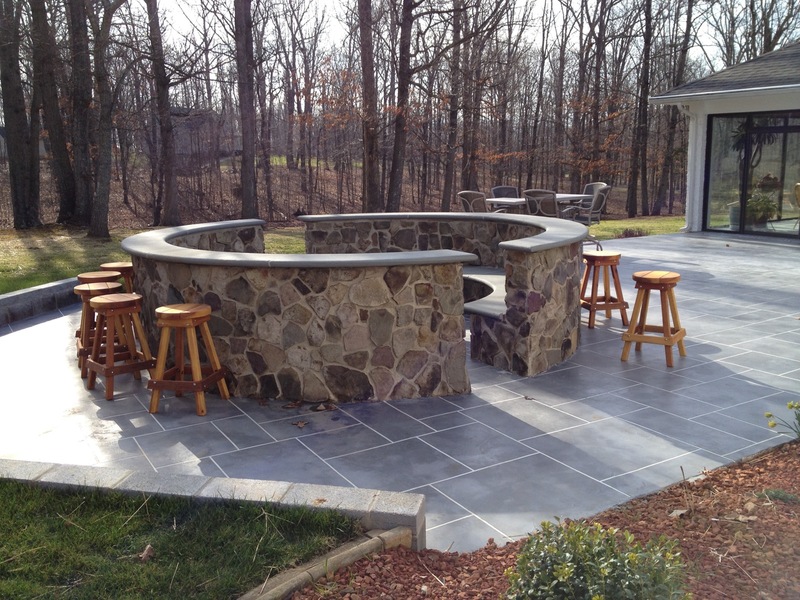 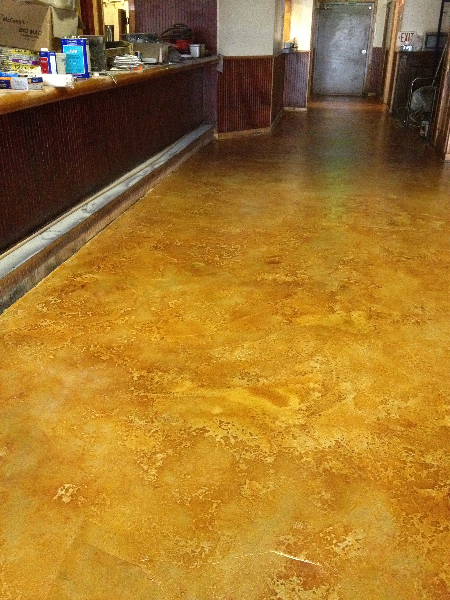 Some of our clients choose to have our troweled concrete overlays applied seamlessly across the entire project. 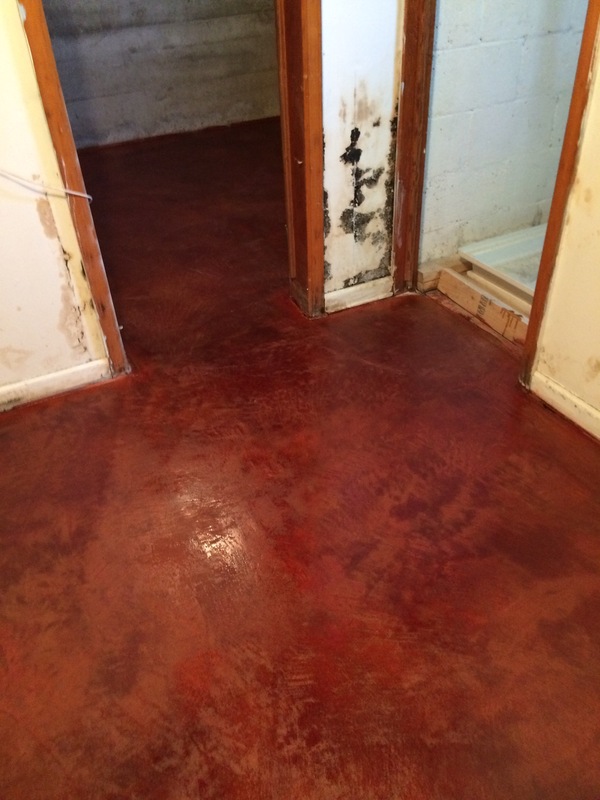 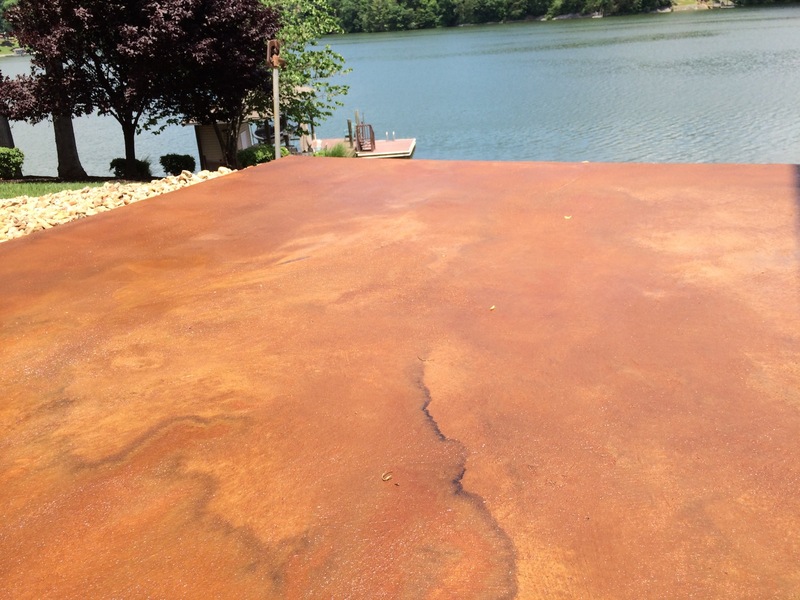 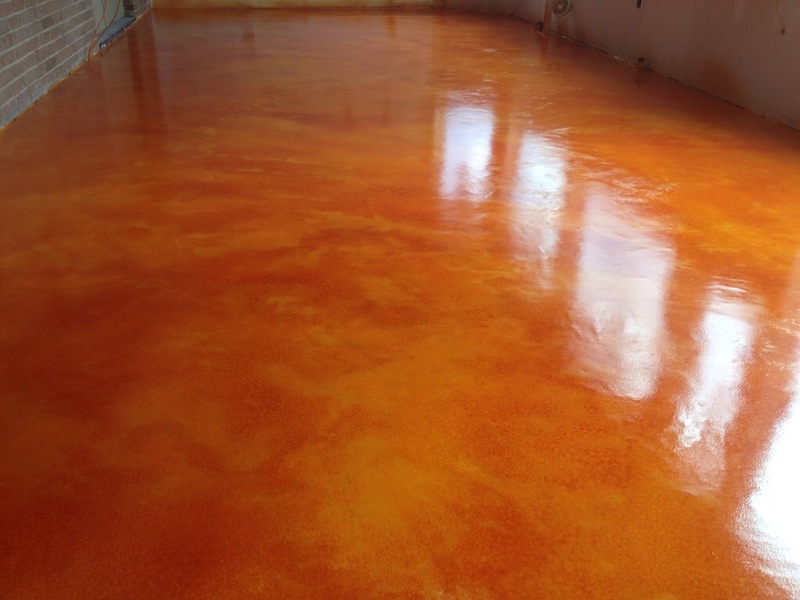 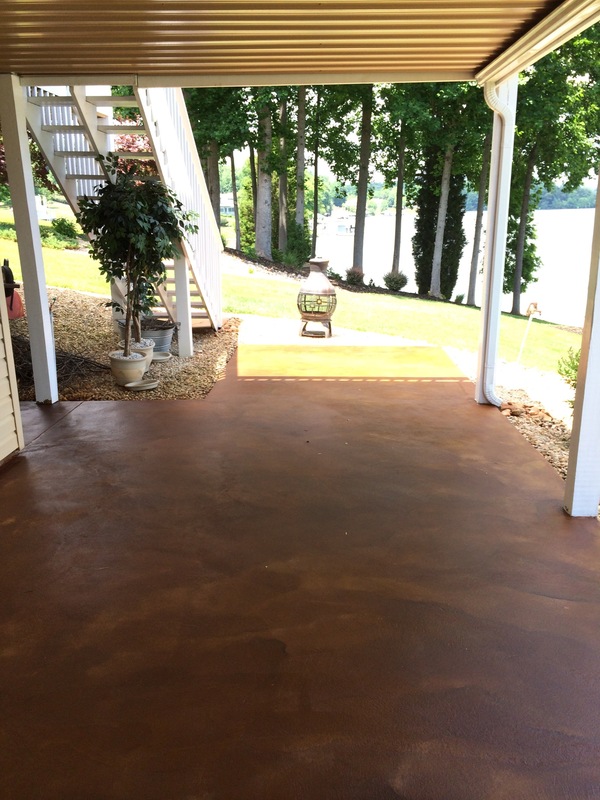 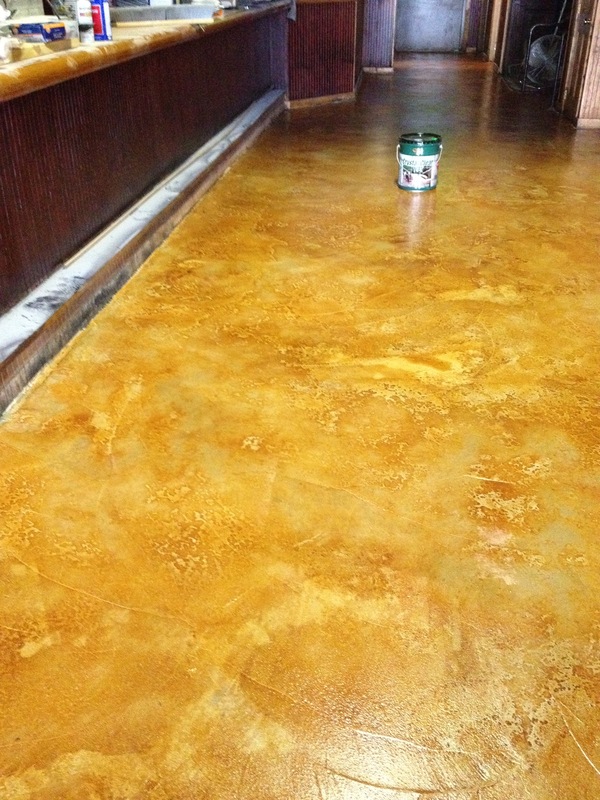 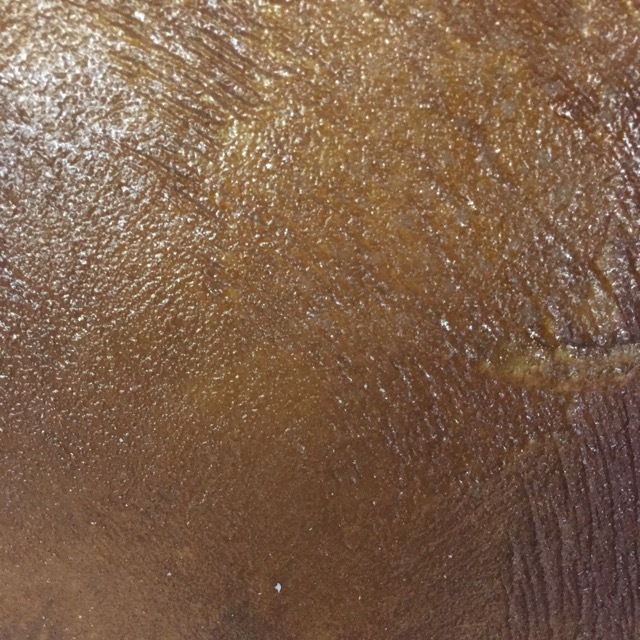 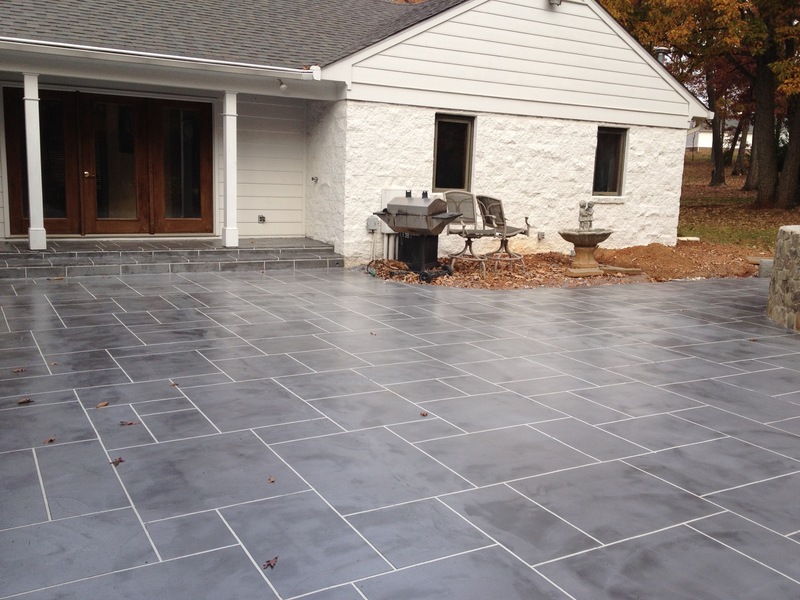 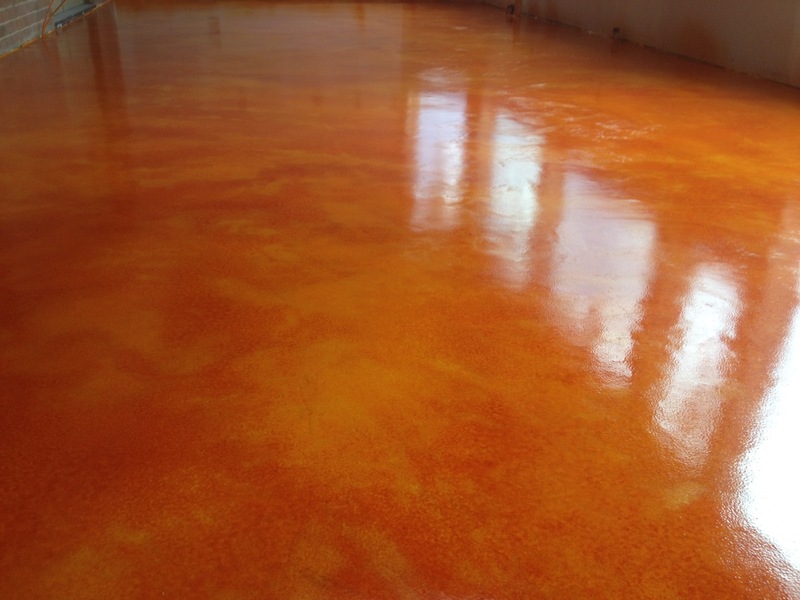 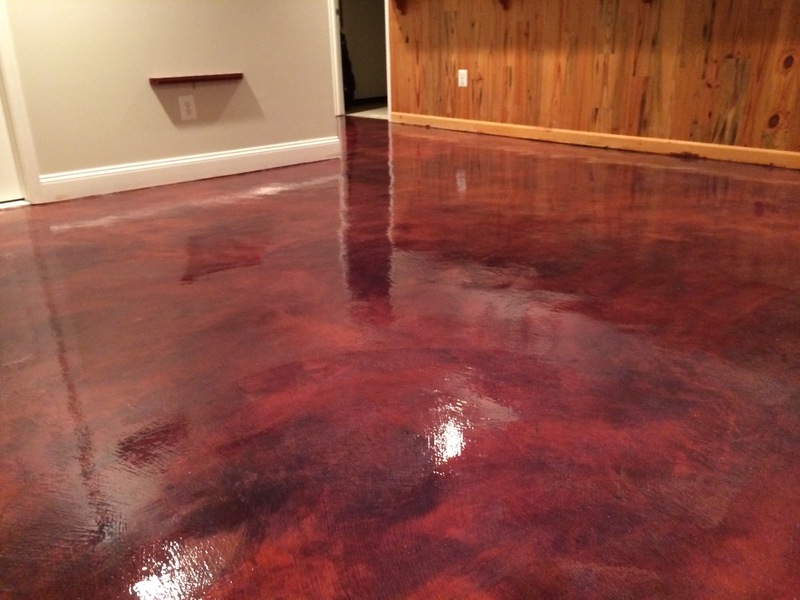 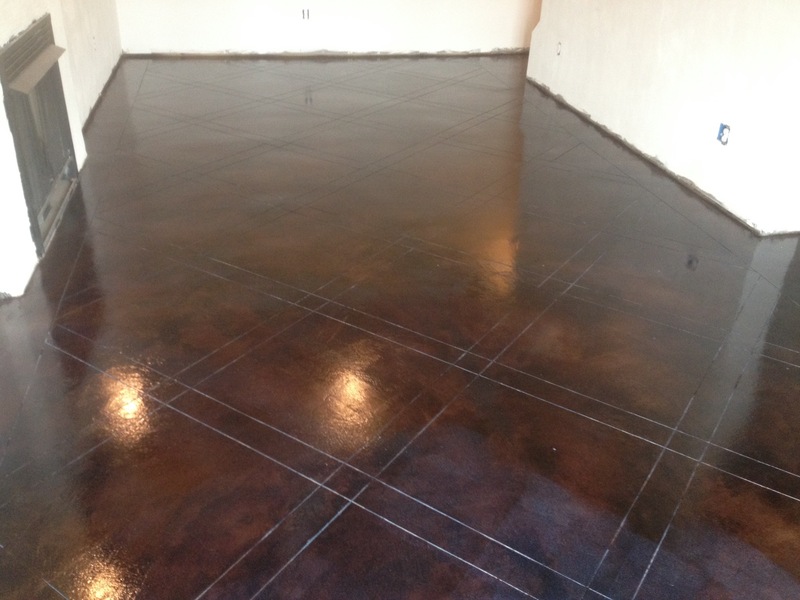 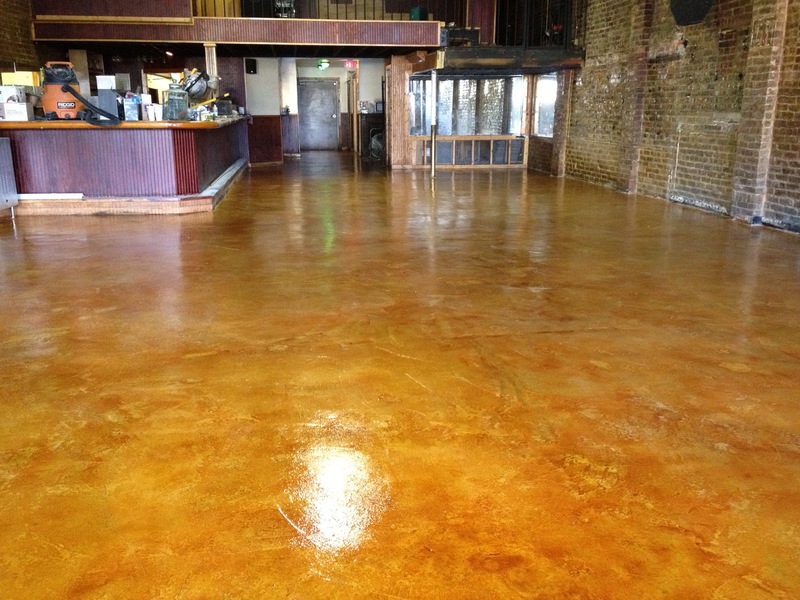 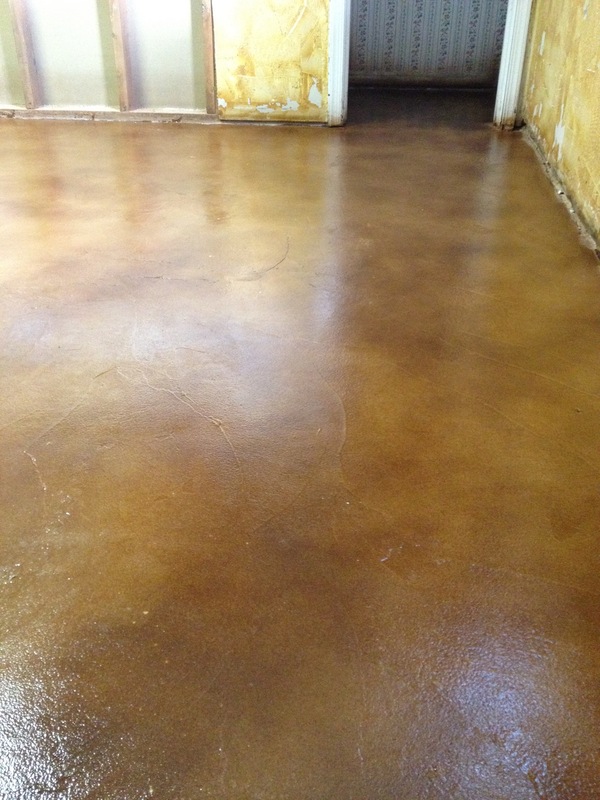 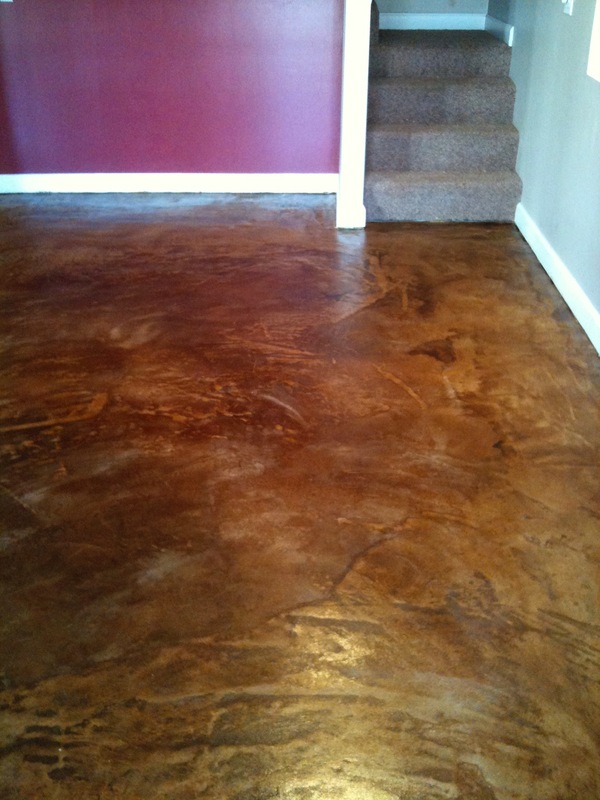 On a seamless concrete overlay, it is more common to stain the overlay after it has cured. 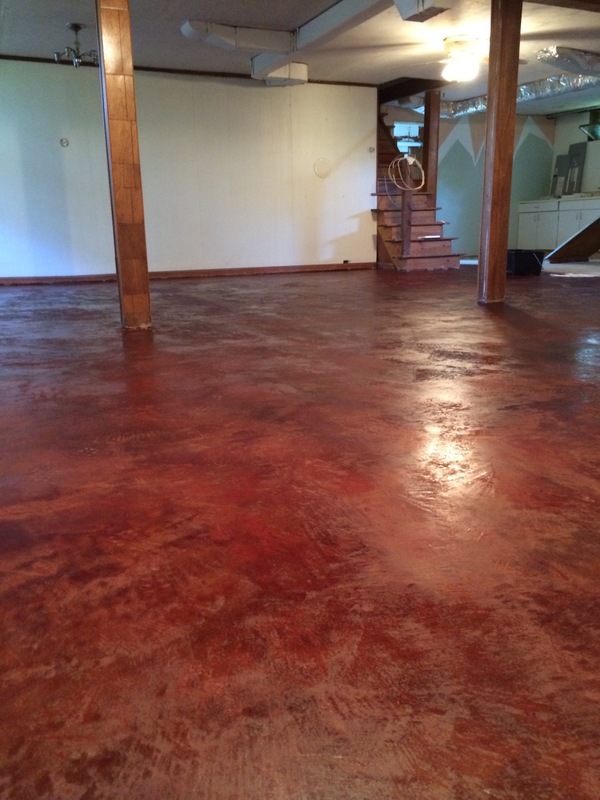 A handmade floor with a semi-transparent concrete stain is perfect for an unrefined rustic environment.